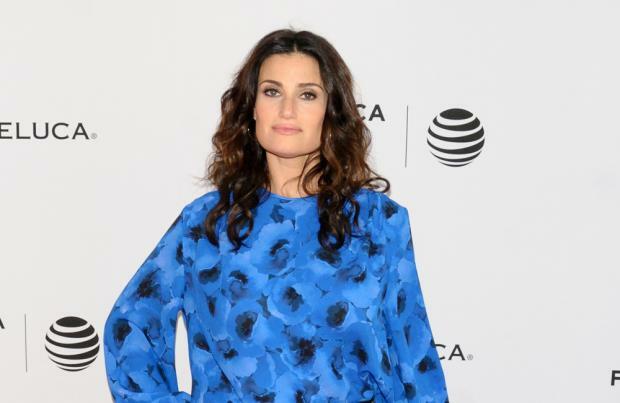 Idina Menzel is backing the #GiveElsaAGirlfriend campaign. The 'Let It Go' hitmaker - who lends her voice to the lead character in 'Frozen' - thinks it would be "great" if Disney chose to give her character a girlfriend in the upcoming sequel. Of the campaign, she told Entertainment Tonight: "I think it's great. Disney's just gotta contend with that. I'll let them figure that out. No matter what, Elsa changed my life." And the 2013 Disney film is set to open on Broadway in spring 2018 following a stint at an as-yet disclosed venue in summer 2017. A new Twitter account @FrozenBroadway, which was set up to announce the news, revealed: "FROZEN is slated for Broadway spring 2018 following a pre‐Broadway engagement summer 2017 http://www.FrozenTheMusical.com"
The cast for the production had yet to be announced but Idina admitted she would love to reprise her role in a live adaptation. Asked about the chance of it happening, she said: "Yes! Sure! Absolutely! It was such a dream of mine to be in the Disney family and become an animated queen." Meanwhile, Idina's co-star Kristen Bell - who has three-year-old Lincoln and 17-month-old Delta with her husband Dax Shepard - previously admitted her daughters aren't fans of 'Frozen'. She said: "They live to break down my self-esteem. It's that, and they don't watch much TV. I mean they're 1 and 3. They're new to it all. "But [Lincoln, the 3-year-old] was sick last month and Dax had said, 'Should we put on a movie? Should we blow her mind and put on Frozen?' And we did, and about 15 minutes in she said, 'Mummy, I think you should turn this off.' She didn't like it."